Darwin's famous finches are facing a serious extinction threat from a parasitic fly. Researchers from the University of Utah have made a startling discovery. According to a report from Phys.org, the very same finches that Charles Darwin used as his main example for describing the theory of evolution are facing extinction as a result of a parasitic fly. The study, published by University of Utah biology professor Dale Clayton in the Journal of Applied Ecology, used mathematical models to show that parasitic flies may actually wipe out the finch populations in the Galapagos Islands. The study also stated that the birds might be saved by pest-control efforts. According to Clayton, the fly could potentially drive some of the most common finch populations in the Galapagos to extinction in just a few decades. The outlook isn’t all pessimistic, however; modest reductions in populations of the parasitic fly would potentially eliminate the risk of all-out extinction. Some of the proposed solutions include the introduction of wasps that kill the flies, hand-raising chicks past the age of vulnerability, releasing sterile male flies into the wild populations to collapse subsequent generations of the parasites, and placing trace amount of pesticides in cotton balls where birds would be able to fumigate their own nests. The study, carried out on Santa Cruz Island in the Galapagos, examined roughly 270,000 medium ground finches. There are an estimated 500,000 individuals throughout the entire island chain. The nest flies arrived in the Galapagos in the 1960s, and were first noticed in finch nests in 1997. The new study combed through five years of data that documented the damage caused to finch reproduction as a result of the flies. 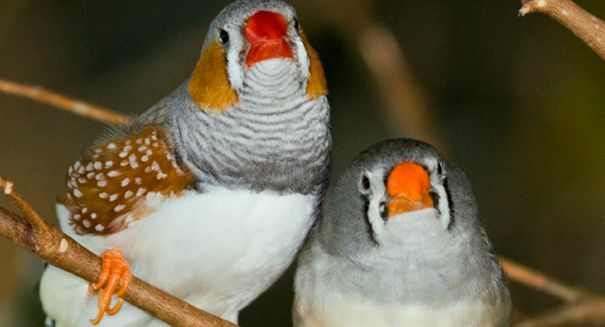 Models showed that finches were more likely to successfully reproduce in years when there was moderately high rainfall, resulting in a higher amount of food. They fared worse in years when there was little or too much precipitation. A press release from the University of Utah outlining the details of the study can be found here.